Raw mango rice is a tangy, spicy and delicious rice preparation. It is a must try recipe before the mango season going to ends up. 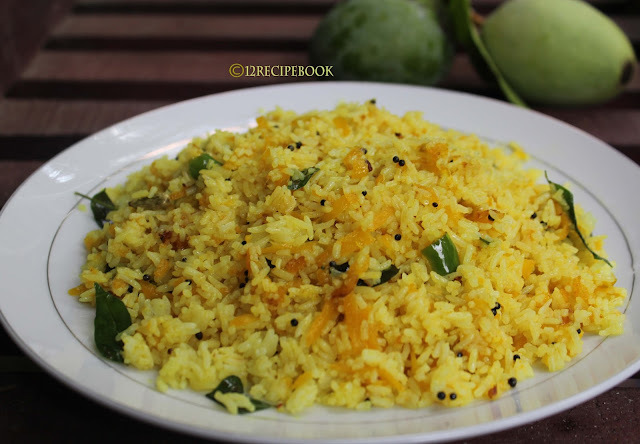 Here is the recipe of quick and easy raw mango rice with simple ingredients. Peel the skin of mangoes and grate them. Heat oil in a kadai; splutter mustard seeds followed by cumin seeds. Add chopped ginger and curry leaves. Add all the powders in low flame and mix well. Add grated jaggery and allow to melt. 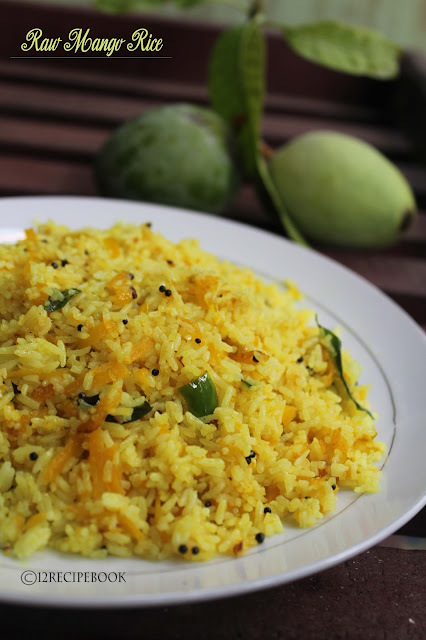 Add grated mangoes and saute for two minutes. Add cooked basmati rice and mix well for a minute. Switch of the flame and serve hot with mango pickle and raitha.